In class, we have learned about four different types of vocal harmony: rounds, partner songs, vocal ostinatos, and chords. 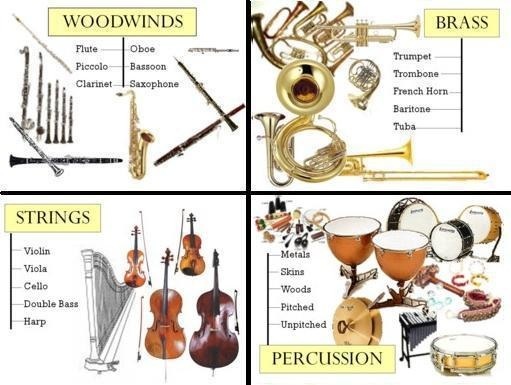 Do you know which recording is which kind of harmony? Young Person's Guide to the Orchestra: in this classical piece composed by British composer Benjamin Britten, you can hear each of the instrument families playing by itself. Below are some examples of Theme and Variation. Each time there is a new variation, the composer changes the musical elements to change something about the theme. Listen to the following pieces of classical music to see if you can notice which musical element is changed in each version.